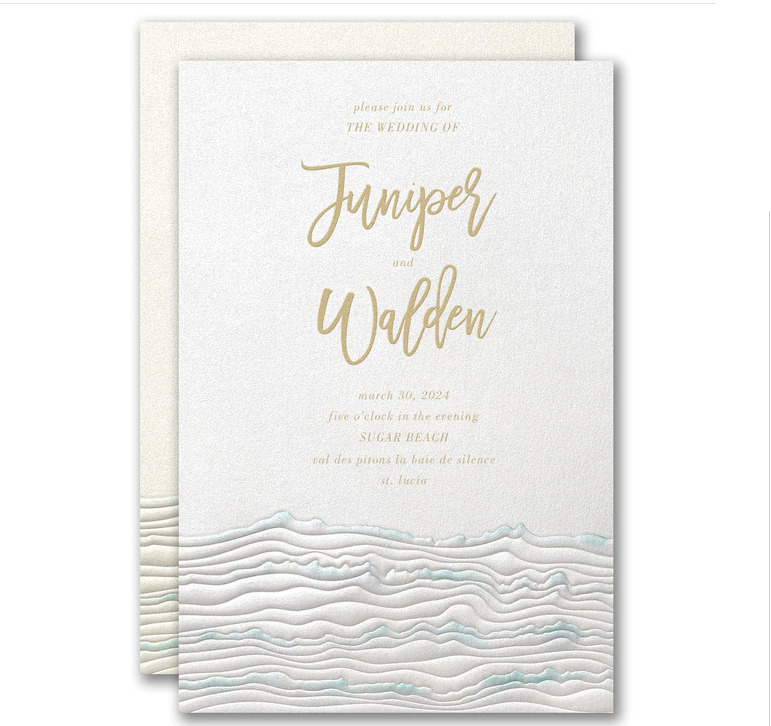 This beautiful ecru beach wedding invitation card truly shows the beauty of the shoreline. There is a stunning castle made of sand that is printed in a subtle mocha ink. Invitations with seashells, starfish and sandy beaches! Choose a Beach design for your napkins, favor boxes and matches!